When I was pregnant people used to always say, "Good thing you traveled before you got pregnant because you're not going to be able to travel once the baby comes." Taylor and I would always laugh it off but the thought of no longer being able to travel would often worry us because we love a good adventure. Small trips, big trips, state-side trips, international trips, you name it-- we crave it all. There's something magical about being able to just go somewhere, anywhere, and do things you don't usually get to do. We weren't ready to give all of that up when our baby came. But, as it turns out, our Billie Rose is quite the little adventurer and she's seemed to prove everyone wrong. 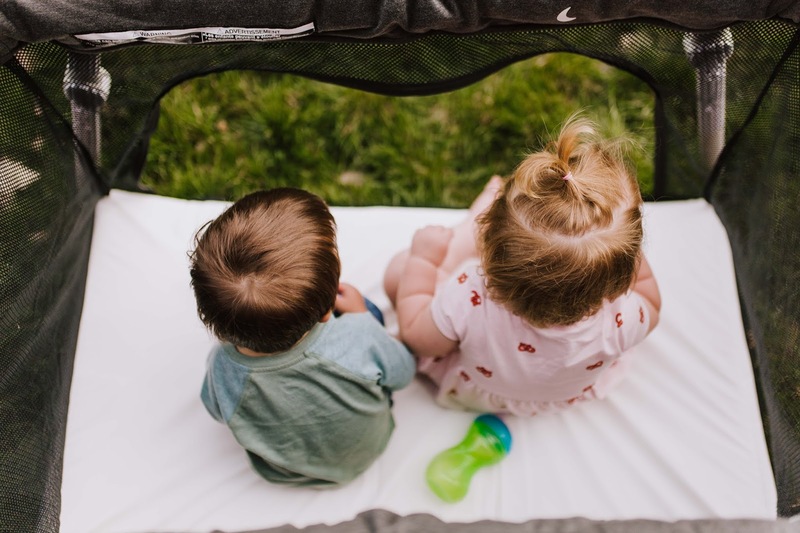 Our travel endeavors with a kid have been very different than our endeavors back in the day with just the two of us, obviously, but we've learned that, even though we have a baby, travel is still totally doable. 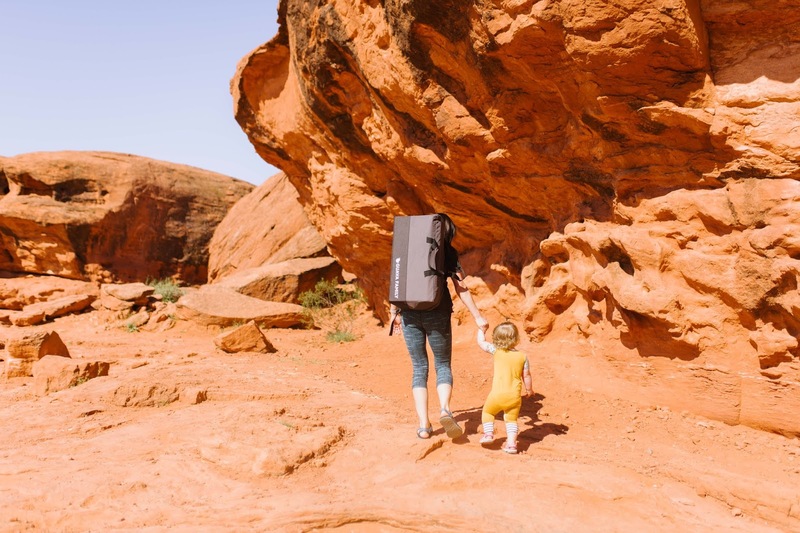 Heck, we'd even go as far as saying that traveling with a kid can actually be enjoyable and easy-going when you've got the right kind of baby products to help support your travel lifestyle. It's all about finding the kind of products that will work best for you and your family. 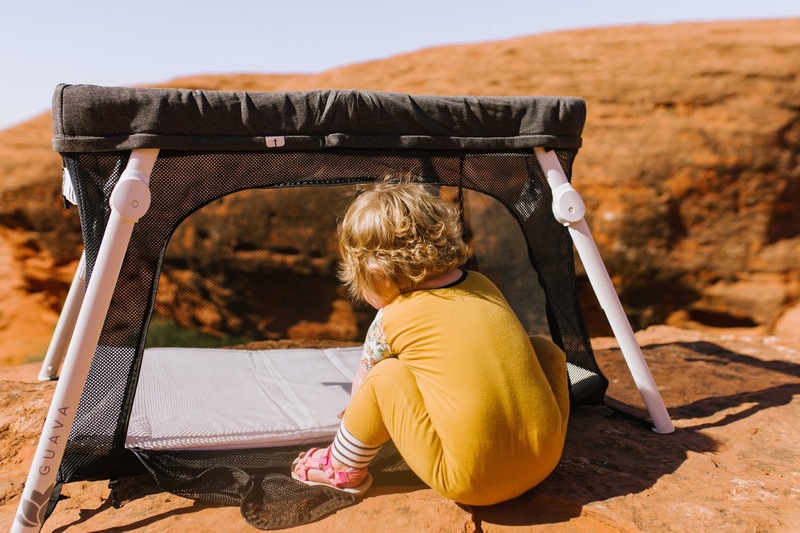 We've got our list of "must-have" travel items that help make life easier when we go on trips with Billie, but the one I want to talk about today is the Lotus Everywhere Travel Crib by Guava Family. Because it's awesome. 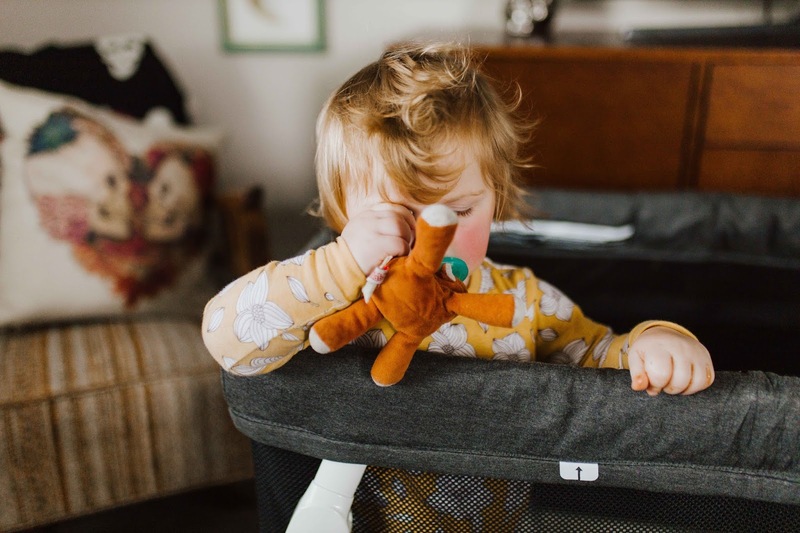 I did a lot of research on different options for pack n plays when I was looking to purchase one. 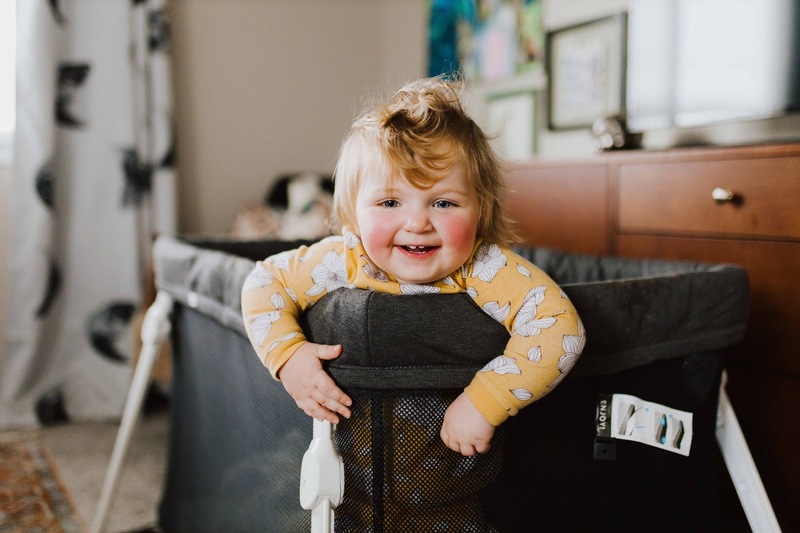 We had a specific set of requirements in mind while we browsed and this crib not only met our needs, but tossed in a few bonus perks as well. 1. It's easy to set up and easy take down. Nobody likes being bested by baby products. 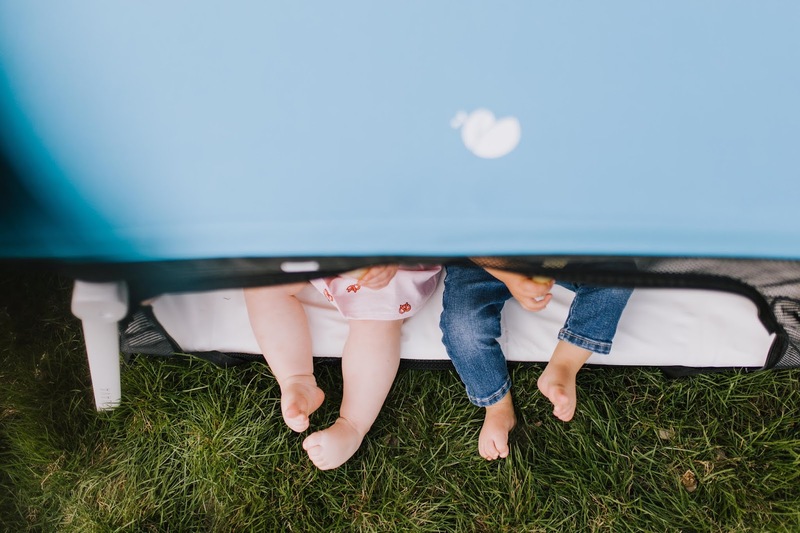 In the past we've had experiences renting or borrowing pack n plays and let me tell you, some of those suckers feel like they're adult-proof (haha). 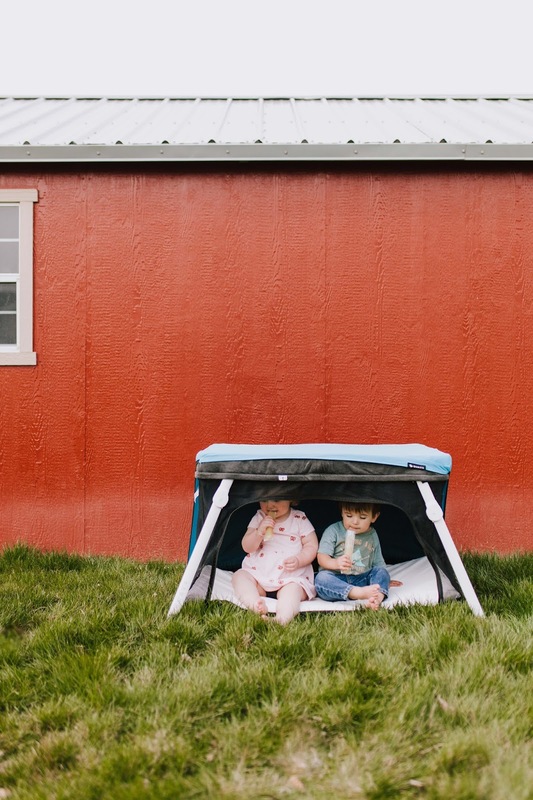 The lotus crib, on the other hand, is not only easy to set up and pack up, but it's QUICK too! It can be set up and ready to go in fifteen seconds flat. It has instructions included on the side of it too, which makes it easy for friends and grandmas who may be watching your kid. 2. 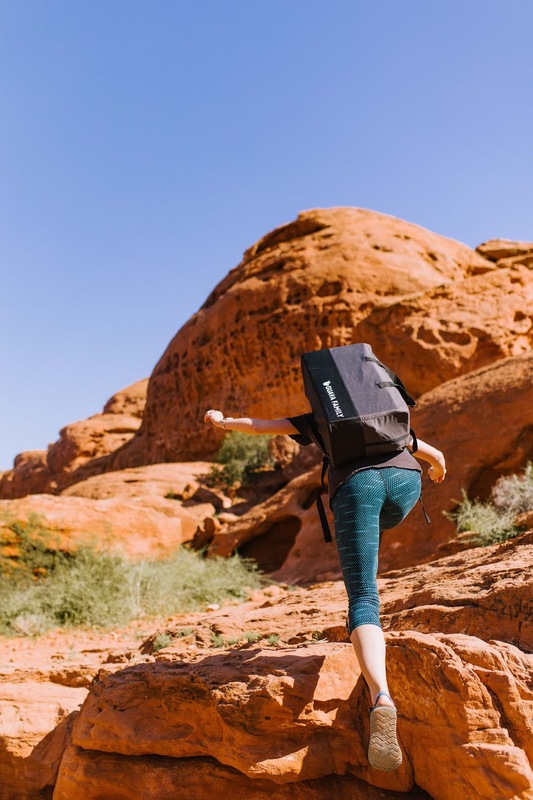 It's compact, lightweight, and has very convenient backpack straps that make it easy to carry through airports, up mountains, etc. There's nothing worse than hauling a bunch of baby stuff through a crowded airport or trying to pack the back of your car full of baby's stuff in preparation for a road trip. This crib is convenient and made for travel. It's also made for adventures. We've taken the lotus crib on hikes with us so that, when we reach our destination, Billie has a nice, comfortable, shaded place to sit and hang out no matter where we go. It's brilliant. Plus, because it's so small it fits easily in smaller spaces such as trailers and RV's. 3. It's outside-proof! Which means it makes naps on the beach possible and it doubles as a great source protection from the sun. 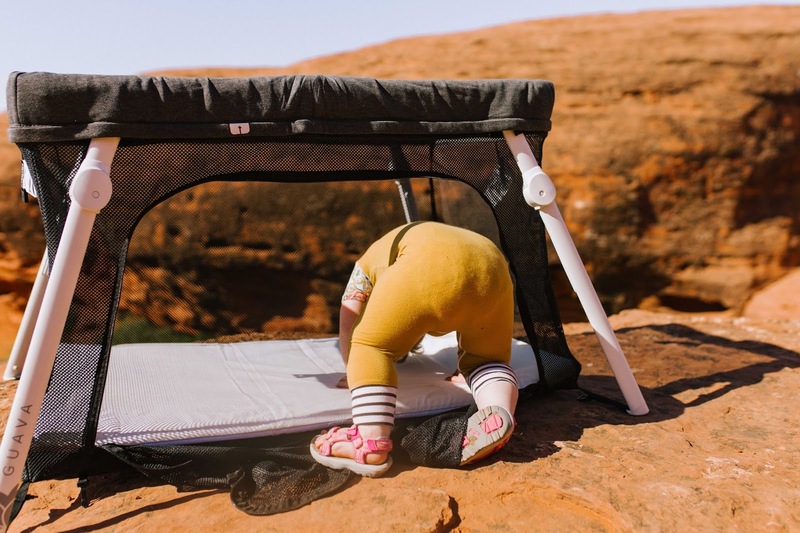 The little mattress pad is waterproof, dirt proof, and basically anything-else-you-can-think-of proof too (aka baby proof lol), which makes it the perfect companion for outdoor adventures. It's perfect for a day on the beach, lounging out at the park, or sitting poolside. 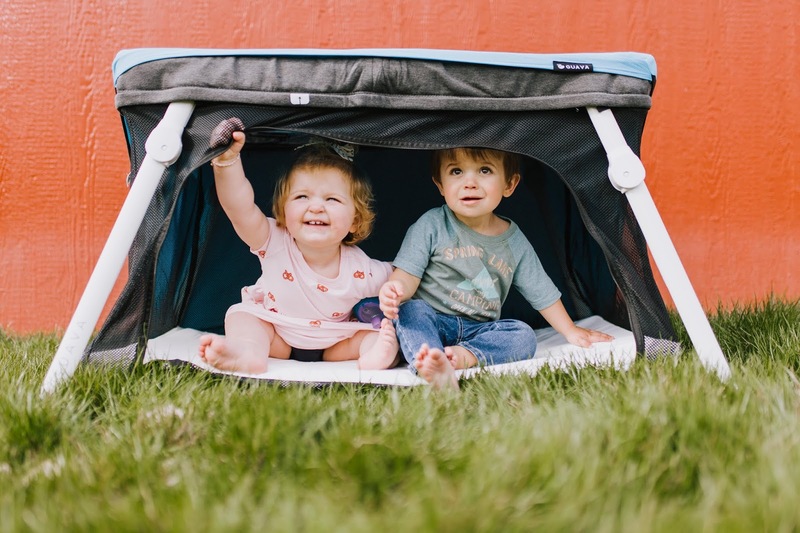 The mesh sides make it breathable and the little sun cover accessory provides the perfect shaded area for your child to hang out in. It's as easy as wiping down the pad and shaking out the sand to make it ready to be used back at the hotel. It's a total dream when it comes to beach days with a baby. 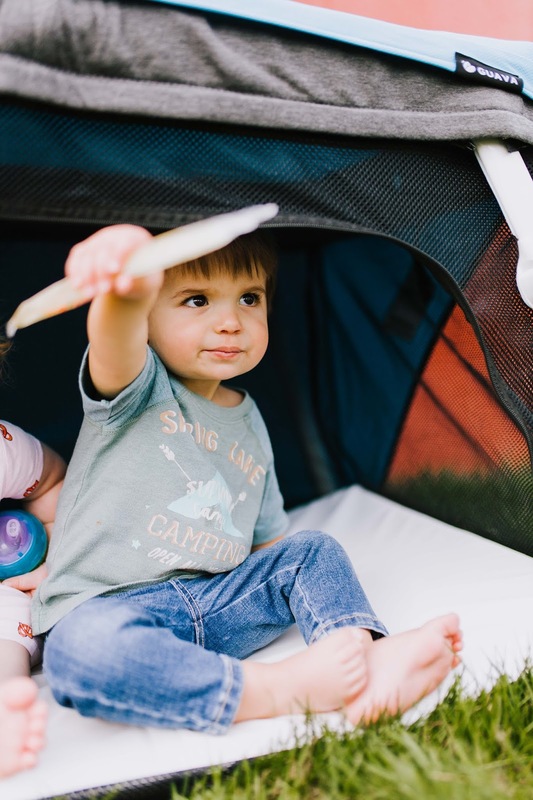 You set it up out on the sand while you enjoy a day full of sunshine, a good book and the sound of waves crashing against the shore (which is the perfect white noise for your baby's nap). There are so many circumstances in which this little travel crib comes in SO handy. 4. 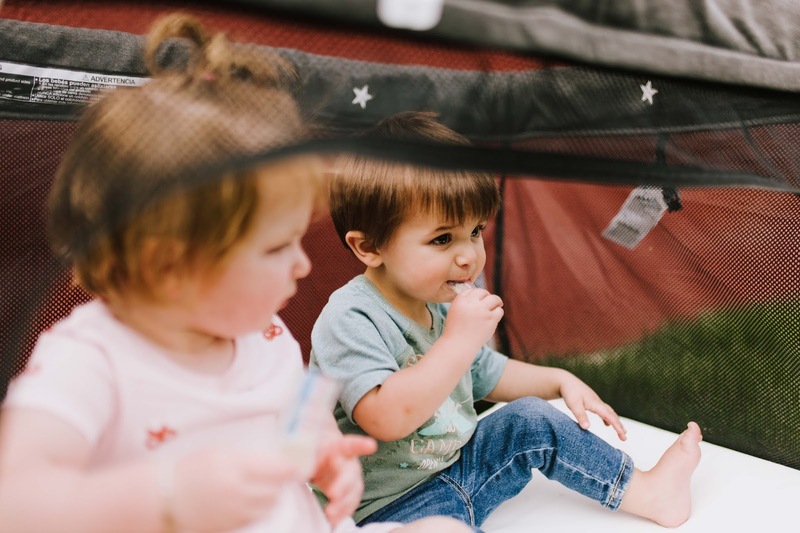 It provides safe play area in the wilderness (or even at grandma's house) that not only keeps them contained, but also out of trouble. 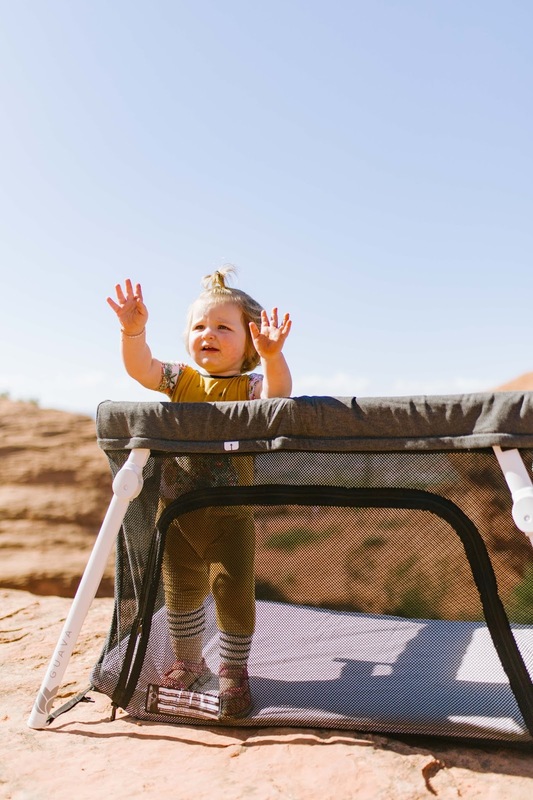 I've seen friends use it to keep their baby safe while they took turns rock climbing. They plopped their sweet little one down in the crib with a couple of toys and she was perfectly content playing while they got to play too. We've used it during a mountain picnic so we could sit and eat in peace without having to worry about chasing Billie around the green mountainside. It's also a great tool when you're going to visit a friend or family member who doesn't have a baby-proofed living space. 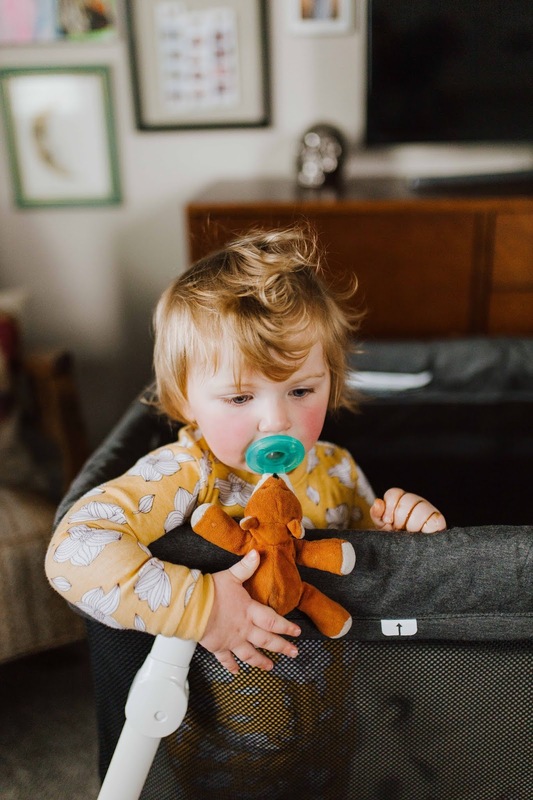 You can put your child in the lotus crib to play and not have to worry about them getting into things or breaking anything. 5. The zipper on the side is a total game-changer. It makes the crib readily accessible as a safe play environment for your child in any scenario, it makes it easy to nurse your baby in their own bed during nighttime feedings, it makes it possible for you to sit and cuddle them in their bed before they go to sleep for the night or go down for a nap, it transforms it into the perfect "tent" for beach days or pool days-- it's just convenient. For a lot of reasons. 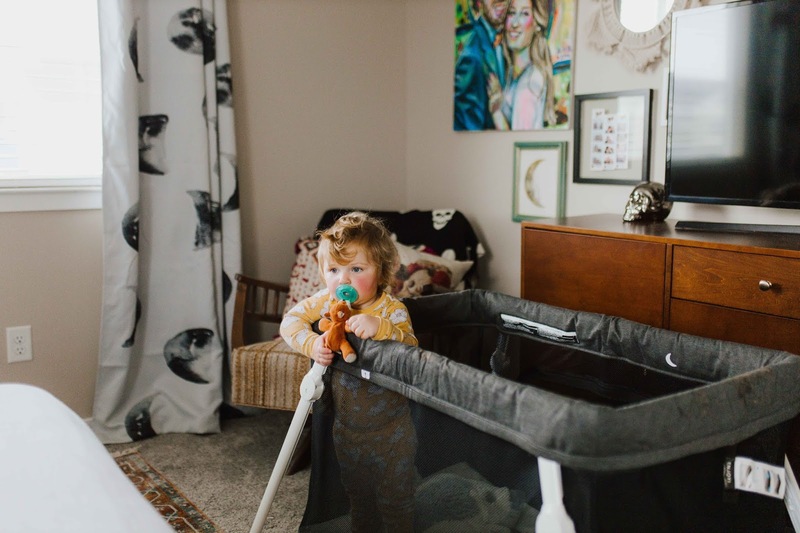 This was one of those things that we came to love about the crib even though we didn't originally even consider this feature when we were looking to purchase a travel-friendly crib. Billie loves this feature about the lotus crib too. She gets so excited when we leave the side unzipped so she can climb in and out at her own will. We have really loved the Lotus Crib. It's been one of those tools that has really enabled us to both travel and adventure with a baby in tow. It keeps her safe and happy which keeps us happy as well! We've used it in lots of different circumstances and scenarios and with all of those experiences, we have nothing but good things to say about it. 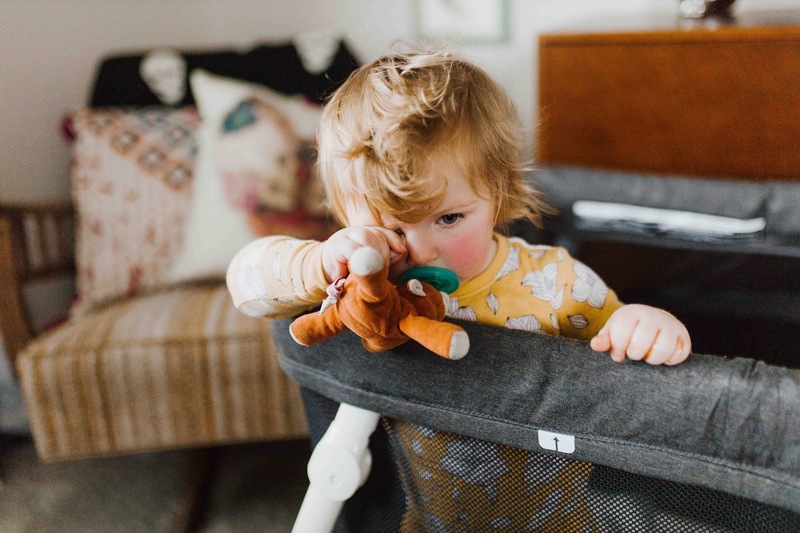 It has definitely been one of our very favorite baby products and we'd recommend it to anyone.